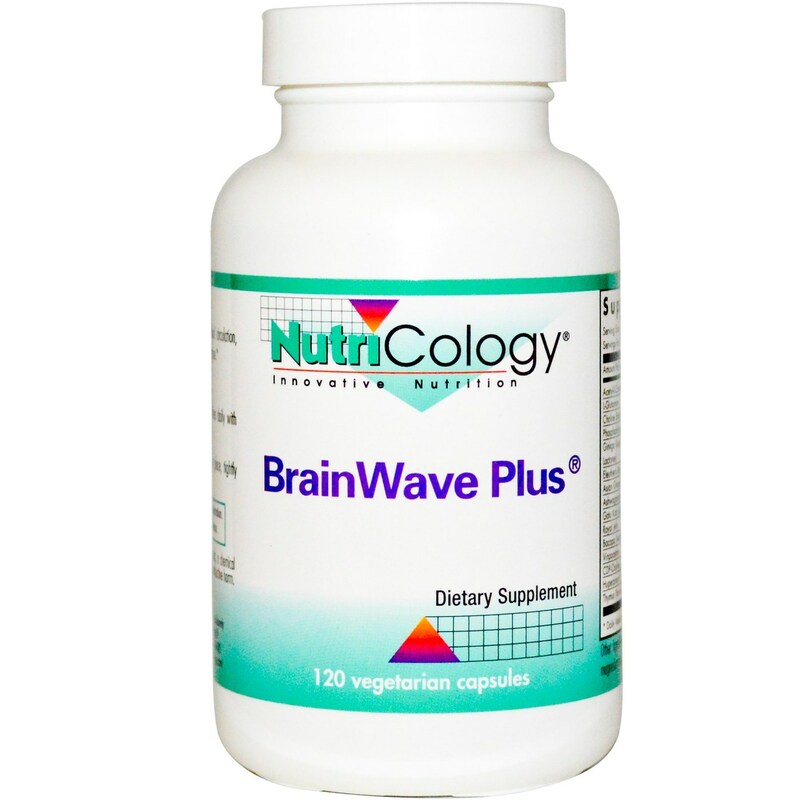 BrainWave Plus is a balanced formula of "smart nutrients" designed to enhance mental function, based on current research of the underlying mechanisms of neuro-cognitive nutritional support. The nutrients in BrainWave Plus collectively support blood circulation, neurotransmitter activity and production, which in turn supports mental alertness, healthy moods, memory and learning. 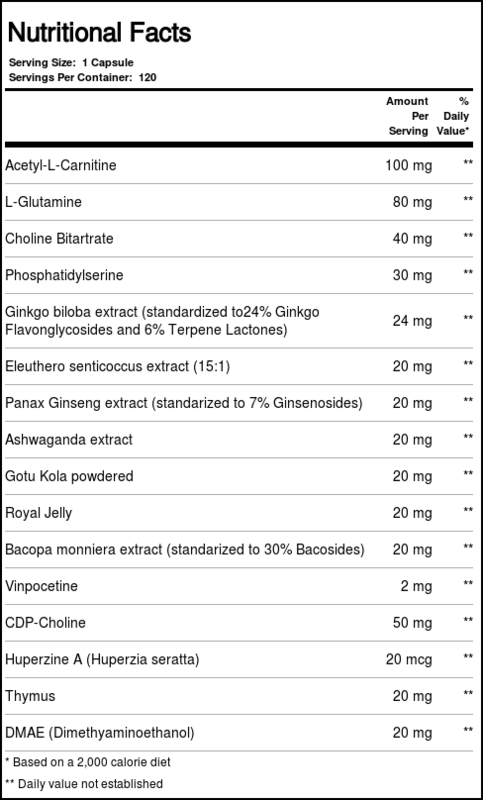 BrainWave Plus includes Huperzine A (Huperzia seratta), a traditional Chinese herb (Chien Tseng Ta) which appears to be a potent acetylcholinesterase inhibitor, which can prevent the degradation of endogenous acetylcholine by binding to the enzyme acetylcholinesterase. In China, a double blind placebo controlled human study found Huperzine A to have significant beneficial effects in quality of life and memory retrieval. CDP-Choline (Cytidine 5-diphosphocholine) quickly crosses the blood-brain barrier, increasing levels of neurotransmitters, enhancing cerebral energy metabolism, and activating the synthesis of critical components of cell membranes. 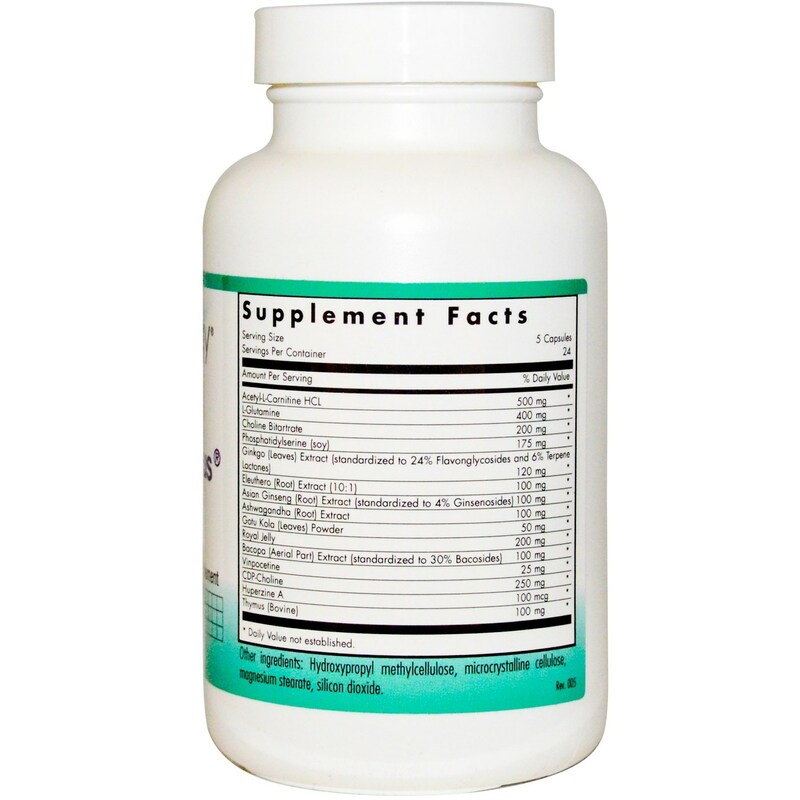 Vinpocetine, an extract of Periwinkle, supports memory function by increasing circulation in the brain and increasing the rate at which brain cells produce ATP. Experiments have shown it to be protective to brain cells. Baco Pin (Bacopa monniera) is an Ayurvedic herb used in India for 3,000 years for enhancing memory capacity, and to support intellectual and cognitive functions. The alkaloids in Baco Pin, bacosides are known as "memory chemicals" in India, and research has shown that bacosides are involved in the synthesis of new neurons, which supports maintenance of neuronal integrity. Notes: These nutrients are of the highest quality and purity obtainable, and do not contain preservatives, diluents, or artificial additives. Keep in a cool, dry place, tightly capped. Recommended Use: As a dietary supplement, 1 to 5 capsules one to three times daily with meals, or as directed by a healthcare practitioner.